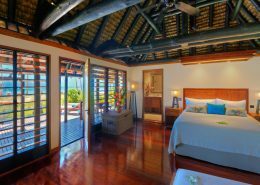 Our most popular luxury eco getaway & an oustanding ‘Bula Club’ that the kids will absolutely love. “JMC” is a beautiful, truly Fijian resort. 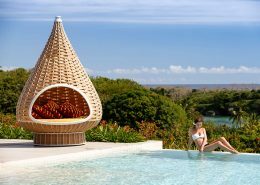 It’s always top of my recommendation list for those wanting an all inclusive luxury family holiday to Fiji. 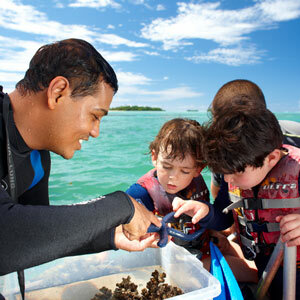 Families love the fantastic kids “Bula” club that encourages an eco-friendly educational programme for the kids and the parents always return raving about the exceptional food. 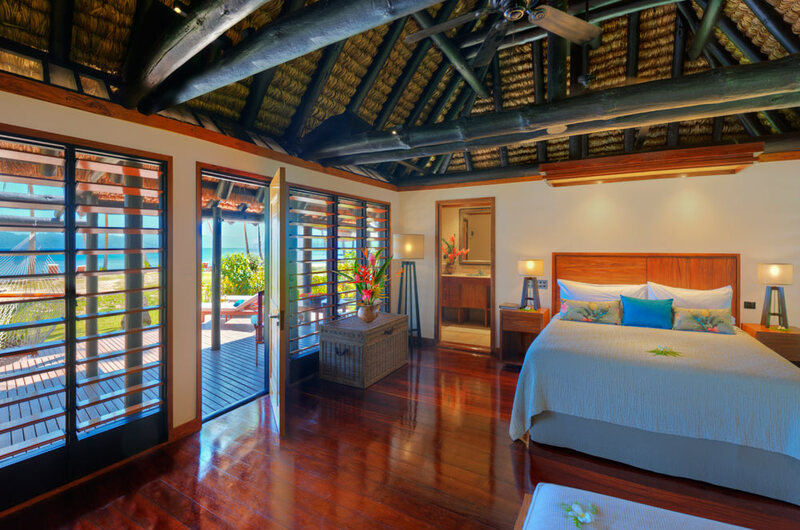 The accommodation is traditional Fijian bures – only 24 in total so the resort is never crowded. It’s not on the mainland but getting there is part of the Fijian experience. Transfer to Savusavu Bay is pretty much a sight-seeing tour in itself. Once you’ve arrived, there lots to do with spectacular diving, yoga, night snorkelling, waterfall hikes – so much! 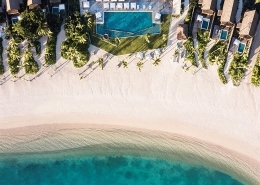 I’d say Jean-Michel Cousteau Resort Fiji is one of the best well-run Fiji resorts offering fun activities and luxury options. My suggestion is always a minimum of 7 nights at least. 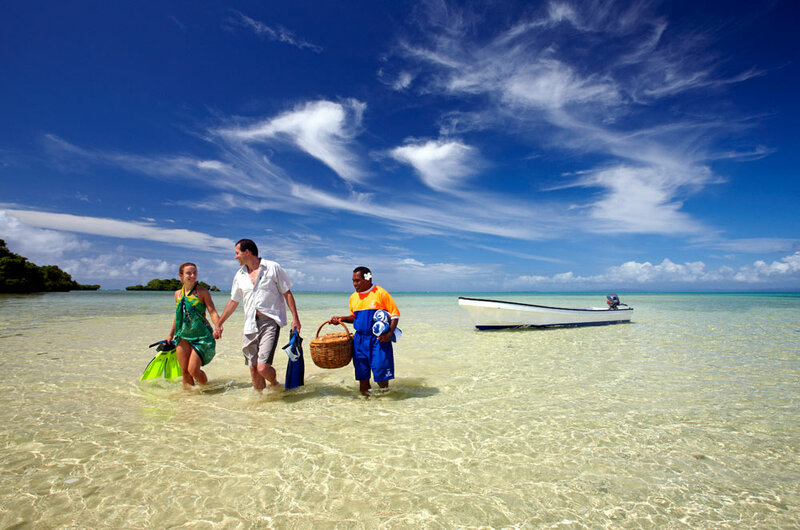 6 night Fiji luxury holiday package deal @ Jean Michel Cousteau, Fiji. A real favourite. A luxury family holiday deal that ticks all the boxes. You, and your little ones, will be well looked after. 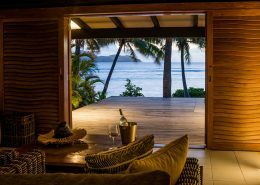 This luxury holiday resort in Fiji is located amidst 17 acres of coconut plantation overlooking Savusavu Bay – a stylish resort that fuses contemporary décor with traditionally designed Fijian bures. 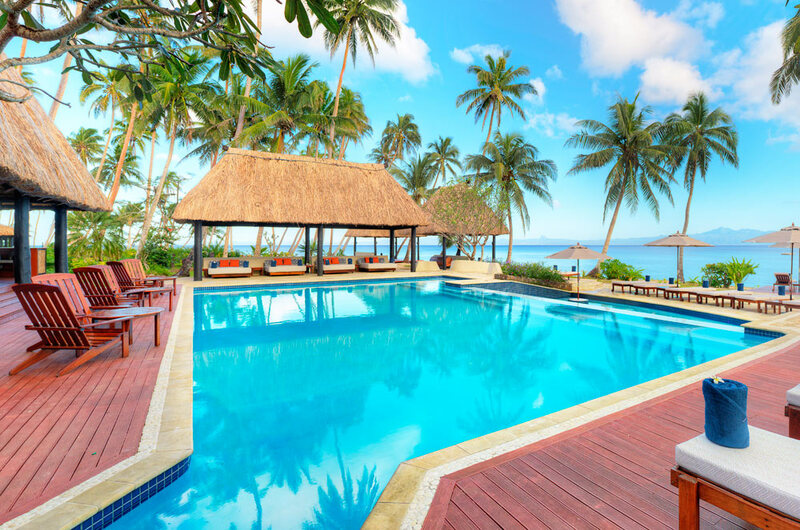 The resort has 4 swimming pools including a family pool and a designated “Bula Club” pool with waterslide. The luxury for less package includes five star accommodation, all gourmet meals and more…even your very own Fijian nanny! If you want a holiday without a care in the world – this is the place. The staff are incredibly helpful and friendly, the rooms elegant without being overdone and the view postcard perfect. All meals & soft drinks, bottled non-alcoholic beverages, speciality loose-leaf teas and coffees. Valid for travel 01 – 06 April 2019, 28 April – 31 May 2019, 01 – 21 September 2019, 14 October – 20 December 2019 & 04 January – 31 March 2020. *Terms & conditions apply: Valid for travel 01-06 April 2019, 28 April – 31 May 2019, 01-21 September 2019, 14 October – 20 December 2019 & 04 January – 31 March 2020. High season surcharges apply. Sale to 30 April 2019. Minimum 6 night stay applies. Prices shown are a guide only, based on low season availability & subject to change. Seasonal Surcharges apply. Price per adult, twin share based on Fiji Airways sale fare, valid for new bookings only. Pre or post accommodation may be necessary in Nadi depending on flight schedules. Max 3 Bobo massages per bure to be taken between 9am and 2pm.